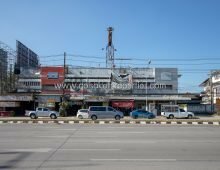 (CMS017-02) Commercial building for sale in good location, near Doi Saket Municipality. (AS003-08)Quick sale of 8-storey apartment building with full occupancy, near Chiang Mai Rajabhat University. (HS230-04) House with business Restaurant, coffee, spa, for sale in Doi Saket. (LS302-03) Commercial land for sale in Prime location near Central Festival.